Congratulations to all the participants and hopefully we see you soon on our next event! Here you can see Team Individuals sporting in their new equipment proudly donated by members of our community. Players (from left to right): BinksiLamp, Jaroš, Gwandarion, Yetti, Wesley and Cagnaccio. Sign up on the forum! 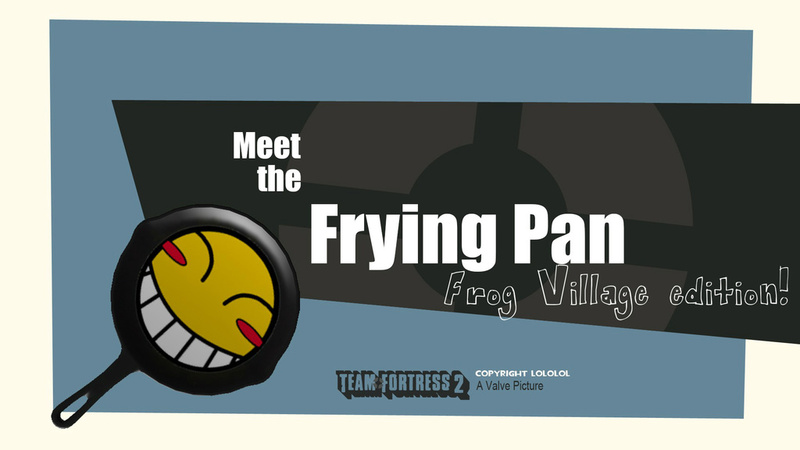 Lin and Fanboy came up with the idea to make a new ultiduo event for the Frog Village community in July. With our brand new site made by Jan, we used the forum for the sign ups. We quickly gathered 18 excited players. New system of single signups and random team creation prevented most of the rolls, so we got to enjoy really close mathes all the way to the finals. Last week both of our 6s teams played their last match in Season 20 of ETF2L league. Both, Revolušn and A+5 placed somewhere in the middle of the tier with couple of wins for each teams. During the seasons there have been quite a few player changes so neither of the teams were expecting brilliant results. We've asked players and they seemed to be pretty satisfied with their performance and the final results. As the title suggests, start of Highlander Season 8 is closer and closer. Team Applechips is practicing really hard in these days and they are ready to show what they are capable of. Head over to ETF2L to see which matches are going on and don't forget to read their forums for your daily dose of drama. Good luck to Applechips in the upcoming season! Santa comes early this year! Maybe you deserve a present or two? Come and drink warm chocolate milk while throwing your Jarate, headshot the enemies. And while recieving your gift, don't forget to cap the point aswell. Come and visit Frog Village Vanilla server on Sunday the 21st of December at 20:00 CET! We managed to bring to an end our first "big" event. There were of course some delays and technical troubles, but I must say that everything went smoother than expected. 8 teams, double elimination brackets, more than 2 hours of action. Our casting crew did their best to capture the heat of the fight. Unfortunately they got bored after a few rounds so in the end people were just spectating and cheering on the server. First round brought us 3 quite one-sided matches where The rich and poor, nebi vedu xD and Baconators won with little-to-none problems. But the fourth match of the 1st round between tournament favourites Grill Gamers and yall motherfuckers need jesus was a really big surprise when the latter won in a quick 2-0. In the second round nebi vedu xD quickly sent Baconators to the losers bracket. But the other match between YMNJ and The rich and poor brought us some intense action. YMNJ's soldier Cupcake outfragged and outdamaged the opponents. And 25 airshots was just too much for the other soldier Pige0n to handle. Semifinals of the upper bracket was a not so quick 2-0. But in the end nebi vedu xD just had to admit the superiority of the YMNJ combo. In the 1st and 2nd rounds of losers bracket we mostly saw rolls after which Grill gamers and The rich and poor met in round 3 to show they are not the losers and deserve higher places. In another close match we saw Pige0n and frixx strike each other in an explosive fight. Even though frixx outfragged Pige0n by quite much, The rich and poor still came out on top by their smart and strategic play and so concluded the Grill Gamer's dream. With YMNJ waiting for their opponents in the Grand Final it was time for the losers bracket semifinals between nebi vedu xD and The rich and poor. Nebi vedu xD were a bit shaky in the first round. But the daring strategy when Jan took out Kritzkrieg in the 2nd round and cali put on Gunboats proved to be very effective. The rich and poor struggled to find an answer and minutes were slowly counting down to nebi vedu xD's win. It was still neck to neck till as Pige0n was very agressive with bombing the medic and Gal was just jumping all over the place, making cali's life pretty hard. But in the end cali and Jan emerged victorious and earned themselves advance to the Grand Final. Grand Final brought us a rematch of the upper bracket semifinals: nebi vedu xD against YMNJ. After the victory, nebi vedu xD went into the match with a lot of momentum. All of which was quickly stopped by Cupcake's rockets. There was a little ray of hope in the 2nd round but in the end YMNJ was just too powerful for the competition and won the tournament. Congrats! Gal dropped only once in 13 rounds he played and has the lowest ratio. There were also two other medics with just 1 drop (Lin and Xel) but they played less rounds. Congratulations once more not just to winners but to everybody who participated. Without you there would be no cup. I hope all of you had fun playing and - later on - cheering. And of course extra thanks to our donators (HiiL, King Käsestange one, Lin, cali and Jan) for beautiful prizes. Due to double elimination format we moved the start to 19:00 CEST. We have 8 teams prepared and ready to roll now! So let's go to business. Please start your matches on time. If you can't get in touch with the opponent contact the admin on Steam or IRC and we'll try to sort things out. If the team doesn't show up, you are awarded default win and advance to the next round. When the tournament goes live, the scores will update automatically as you'll report them. On this page you can also find contacts to all of the leaders so you can easily arrange the match. Our FV server will also be made available for the tournament. Tune in: TwitchTV stream The streaming crew will be with you the whole evening and we'll try our best to cover as many matches as possible. We are proud to present the first Frog Village Ultiduo Cup! The cup will be held on Saturday 25th October 2014 with first round starting at 19:00 CEST. Depending on the number of sign-ups, finals might be played the next evening. Ultiduo is a 2v2 game mode, where solider and medic combo fights against opponent combo on a King of the Hill map. To win the round, you need to hold the point for 5 minutes. This game mode can really show not just pure DM of the players but also the synergy of the combo. Sign-up process is simple. Just fill in this form: SIGN-UP. Sign-ups close on 24th October at 23:59 CEST. All matches have to be played on ultiduo_baloo. No timelimit for the match (mp_timelimit 0). First team to win 2 rounds wins (mp_winlimit 2). Ultiduo is usually played with only 4 unlocks (Disciplinary Action, Original, Übersaw and Blutsauger). To make this cup more interesting, the matches will be played with 6v6 whitelist. Reskins and special quality of the weapons are of course also allowed. Maximum 1 merc is allowed if the opponent agrees. After the match, please report the results to organizer ASAP so the cup doesn’t run late. Scores can be reported on #FV channel on quakenet.org IRC or over the Steam to Jan or Gal. Keep your status and scoreboard screenshots until the end of the cup in case of disputes. Jan is also donating one key to the medic with the lowest Ubers dropped per round ratio. To be eligible to win this prize, you must play the whole tournament as medic. As this is first time we are organizing such event, please be patient if everything doesn’t go as planned. And constructive criticism is always welcomed. You can contact us here: Contact.